Whether you are planning a lazy day on the beach or something a bit more energetic like hiking, cycling, or watersports, you need a good, satisfying breakfast to set you up for the day. Key West boasts a great selection of breakfast venues serving up fresh and tasty American favorites, many with a surprising Caribbean twist. Since most visitors are enjoying a vacation and have no wish to get out of bed too early, many of the breakfast venues offer all-day breakfasts or a combination of breakfast and lunch dishes served until around 2.00pm. Besides the classic eggs, omelets, and Benedicts you will also find Parisian-inspired creperies where you can sample delicious sweet and savory pancakes. If the thought of a light and delicious crepe for breakfast is enough to get your mouth watering, then you are going to love the La Creperie French Café in Key West. La Creperie has been pleasing local palates for more than 14 years and you could say that they have perfected the art of crepe making. In France it is customary to serve savory fillings in a galette, which is a crepe made with buckwheat – you can choose from a variety of tasty fillings, including vegan and gluten-free options. Crepes are made using organic eggs, milk, and flour and filled with your choice of fruits, syrups, creams, and other treats. For those who don’t enjoy crepes, the café offers a full menu of delicious toasts, paninis, sandwiches, and croissants or a full American bacon and egg breakfast. 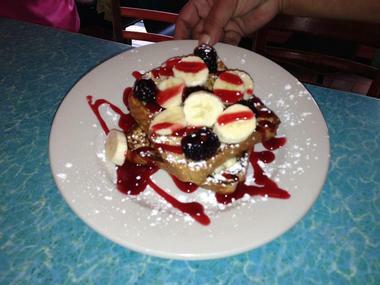 Don’t let the name confuse you when you are looking for a great breakfast in Key West. 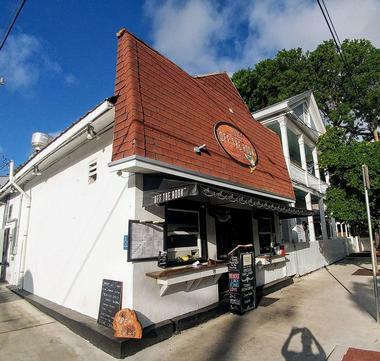 Off the Hook Grill is primarily an intimate seafood bistro situated just one block from Duval Street in Old Town Key West, but regulars will tell you that it is also serves up great breakfasts from 8:00am every morning (except for Tuesdays, when they take a break). The breakfast menu features all your classic American breakfast favorites such as eggs any way you like them accompanied by a large selection of sides so that you can customize your meal. If you are looking for something lighter, you can order a bowl of yoghurt and granola (with or without fruit) or a delicious buttermilk pancake with fruit. 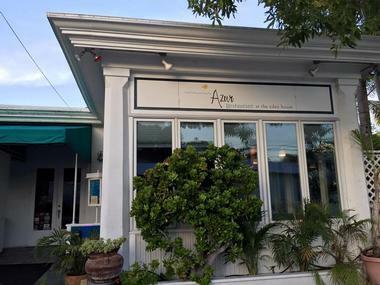 If your idea of the perfect vacation includes long, lazy brunches then Azur Restaurant in Old Town Key West could be exactly what you are looking for. Azur Restaurant serves delicious brunches daily from 9am to 3pm, featuring all your regular breakfast favorites alongside a great selection of innovative and unusual dishes that will transform your breakfast into a memorable meal. There are some brilliantly conceived twists to the classic Benedict, a rather surprising Italian-inspired breakfast carbonara, and a good choice of unusual sandwiches, salads, and frittatas. If you fancy something a little lighter, you can choose the Azur Continental Breakfast, which features artisan rolls, muffins, croissants and fruit, or yoghurt and granola. 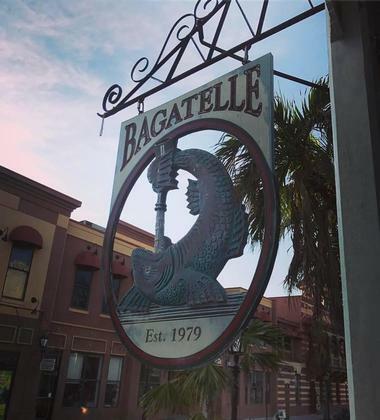 Bagatelle Restaurant in Duval Street knows that people often have a craving for breakfast at any time of day, which is why their famous brunch is served from 9:00am to 4:00pm. Similarly, not everyone likes eggs or biscuits for breakfast, which is why the extensive Bagatelle brunch menu features both traditional breakfast and luncheon dishes. Using only organic cage-free eggs, Bagatelle has come up with some excellent twists to enliven a traditional Benedict – try their famous lobster Benedict with Key lime hollandaise or a delicious crab cake Benedict. In addition, you can choose from many sandwich and taco options or tasty seafood small plates like clam chowder, coconut shrimp or mussels. 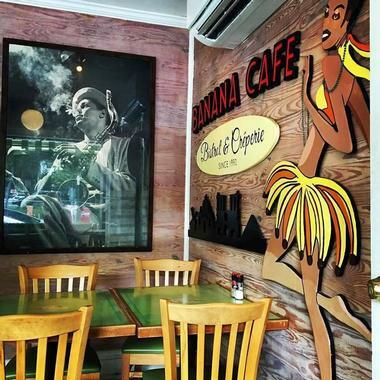 If you are looking for an early breakfast before you set off to explore Key West, you can drop into the Banana Café in Duval Street anytime from 7.30am. The café serves up all your breakfast favorites together with some new ideas to give them an interesting twist. Why go for a conventional omelet when you can opt for a Key West Original filled with shrimp, scallop, and lobster. The traditional eggs Benedict also gets a face-lift with a shrimp, lobster, or smoked salmon filling. You can indulge your sweet tooth with a Belgian waffle, French country crepe or a French continental breakfast featuring baguette, croissant, and muffin. 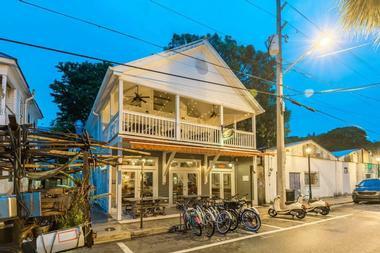 Tucked away in the historic Bahama Village, Blue Heaven is a unique Key West eatery that will satisfy both your taste buds and your love of the unusual. 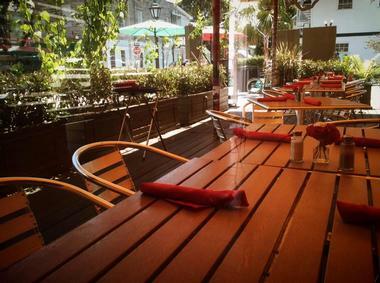 Most people choose to enjoy their breakfast al fresco in the shady courtyard, but indoor seating is also available. You will be surrounded by arty décor, wandering chickens, and delightful aromas. The breakfast selection is served from 8:00am to 2:00pm and includes a selection of Benedicts, Richard’s Very Good Pancakes, delicious omelets to order, and shrimp and grits, to name but a few. 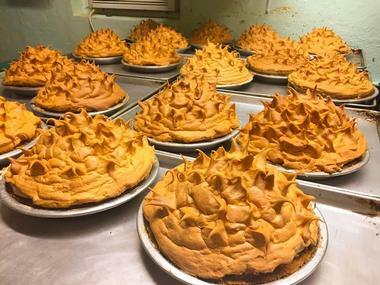 Their Key lime pie is rumored to be the best in Key West. Located just steps away from the historic Bahama Village, the Blue Macaw Island Eats and Bar is a must-visit breakfast destination in Key West. 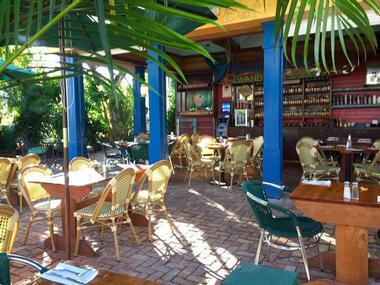 Breakfast is served in a tropical outdoor courtyard setting surrounded by foliage and fountains. You can expect to find all your traditional breakfast favorites on the menu, usually presented with a distinct island-fusion twist. Health nuts can choose the island-style oatmeal, house specialty granola, or the vegetable-filled Garden Omelet, while those who have a sweet tooth usually gravitate towards the Captain Crunch French toast, Belgian waffles, buttermilk pancakes or the decadent Sicilian toast with Galliano, marshmallow cream, and toasted almonds. Visitors in search of a unique Southern interpretation of their favorite dishes should not miss brunch at the Firefly Southern Kitchen on Petronia Street. 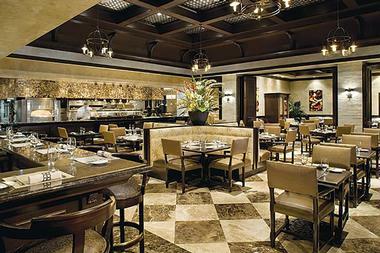 The chefs at Firefly are dedicated to using the best available local ingredients to prepare all their meals. Brunch is served from 10:00am to 3:00pm every day and includes delicious Southern delicacies like peppered beef jerky or pork rinds served with a hot and spicy agave sauce for starters. The main courses are equally mouth watering and include freshly baked buttermilk biscuits served with a choice of accompaniments, eggs Creole, shrimp and grits, and a selection of sandwiches, salads, and side dishes. Firefly is also open for supper from 6:00pm each day. 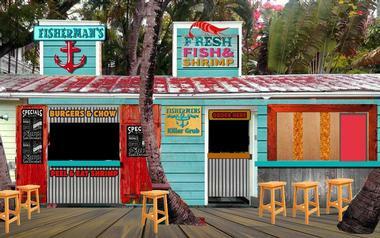 The Fisherman’s Café has been a welcoming meeting place and eatery for Key West fishermen since the 1970s. 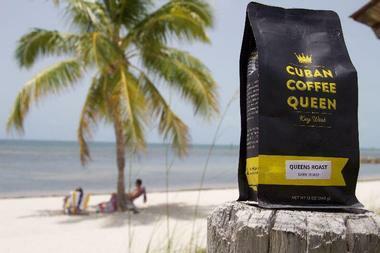 From humble beginnings in historic Old Town Key West, the café now occupies premises in the heart of Key West Historic Seaport, where a warm welcome awaits both regulars and visitors. Breakfasts are taken seriously at the Fisherman’s Café, where you can choose a simple meal of cheese and grits (served with your choice of bacon, steak, lobster, or shrimp) or go the whole hog with the delicious El Cubano breakfast sandwich filled with pulled pork shoulder, chorizo, and Swiss cheese. You can wash it all down with a satisfying café con leche or bucci. Harpoon Harry’s is a popular Key West diner that is open all day long and serves up freshly made American comfort food. You can BYO (build your own) omelet to totally personalize your breakfast or choose from one of the diner’s specialties, which include a country po’boy (country-fried steak, eggs, sausage gravy, and toast) or the lobster po’boy, which features juicy lobster on an English muffin with eggs and sausage gravy. You could also try their Benedicts, which include both traditional and lobster or crab cake versions. There are several interesting sandwich options as well as French toast, pancakes, bagels, and more. Breakfast dishes are served from 6.30am to 3:00pm. Havana Key West is proud to have received the coveted TripAdvisor Certificate of Excellence, which indicates just how popular this Key West restaurant is. Havana is open from 8:00am to around 4:00pm daily and offers an expansive menu featuring a combination of breakfast and lunch-style dishes for you to enjoy. Egg lovers can choose from no less than nine omelet options, all served with a side of toast, grits, or breakfast potatoes. For something a little different, you can enjoy a tasty smoked salmon platter, various combinations of toasted eggs and cheese on Cuban bread, or opt for French toast, buttermilk pancakes, sandwiches, or a bagel. You can wash it all down with your choice of coffee, tea, or fruit juice. 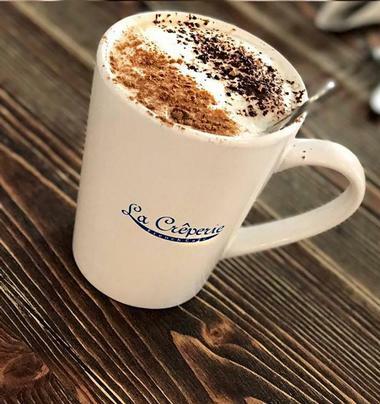 Pancake lovers will be happy to know that the Key Plaza Creperie is open daily from 7:00am to 5:00pm, serving up a delicious feast of sweet and savory crepes and galettes (organic buck wheat savory pancakes) accompanied by French press coffee or tea. Just a few of the tasty galette fillings include prosciutto and Swiss cheese, eggs and bacon, smoked salmon, or chicken in a béchamel sauce. 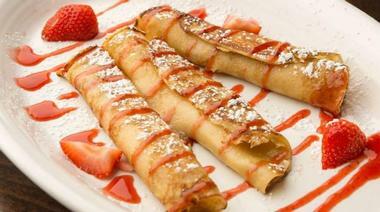 Sweet pancakes can be served with your choice of fruit, Nutella, and other treats. If pancakes don’t excite you, there are plenty of other delicious options on the breakfast menu, including various breakfast sandwiches and paninis, wraps, and omelets. The La Grignote artisan French bakery, café, and bistro makes some of the most delicious pastries, tarts, muffins, croissants, and other breakfast favorites in Key West. Everything you are served is hand-made on the premises. If you are in the mood for something savory, you can choose a delicious tomato and goat’s cheese quiche, ham and cheese croissant, or a made-from-scratch pizza with toppings of your choice. Sweet delights include a selection of lighter-than-air croissants, various muffins and cookies, and indulgent Belgian waffles. 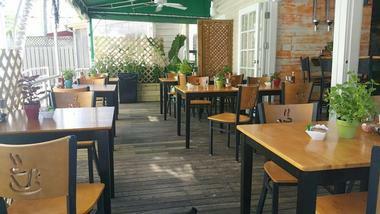 You can accompany your meal with your favorite coffee, tea, or mocha or try their homemade Key lime lemonade. Located in the Sunset Key Cottages complex, Latitudes restaurant has won more than its fair share of awards and was named one of America’s Most Romantic Restaurants in 2017. 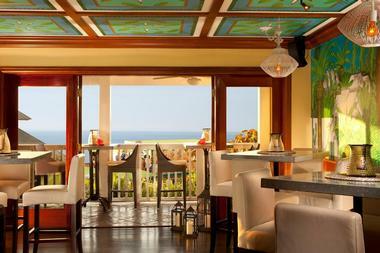 As you gaze out over the ocean, you can enjoy a variety of delicious a la carte breakfast dishes cooked to order. Choose from a sophisticated smoked salmon plate or dig into a delicious avocado or lobster Benedict. If you fancy something more traditional, the Latitudes Breakfast or the Latitudes Omelet could be just the thing to hit the sweet spot. Healthy eaters are also catered for – you can order yoghurt and granola, goji-berry or banana-nut oatmeal, or a fresh fruit plate. Combining the best of fresh American produce with a dash of Parisian elegance, Le Petit Paris serves a combination of breakfast and lunch dishes from 8:00am to 5:00pm. A traditional bacon and egg breakfast and a healthy granola bowl feature alongside some really innovative omelets, crepes, and Benedicts, with an emphasis on fresh Key West seafood such as conch, grouper, and lobster. Meat lovers have not been neglected and can select one of the burger dishes or a steak-filled crepe. 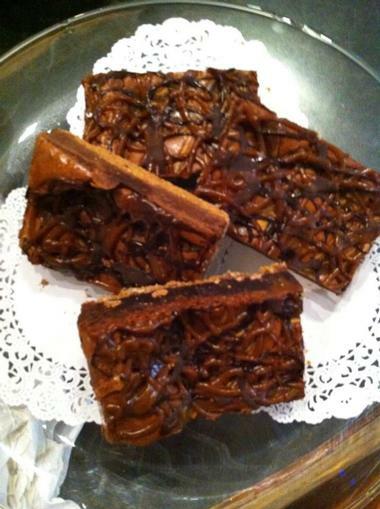 The menu also includes gluten-free and vegetarian options and some delicious sweet treats. Dog owners are welcome to sit on the outside terrace with their pets. Louie’s Backyard is one of Key West’s most popular and respected seafront restaurants, and your visit to the island would not be complete without enjoying their weekend brunch at least once. For 30 years, Louie’s has been serving an ever-changing menu of delicious Caribbean-American cuisine using the freshest possible locally sourced seafood, meats, fruit, vegetables, and herbs. 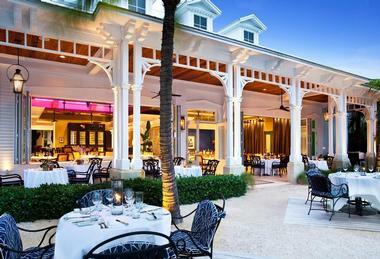 There is a distinct emphasis on showcasing wonderful Key West seafood, and you can expect to see interesting dishes like conch chowder, conch fritters, baby octopus, rock shrimp, and a variety of line-hooked fresh fish on the brunch menu alongside salads, sandwiches, and succulent meat dishes for the carnivores. You need to book early to secure a table with an ocean view. 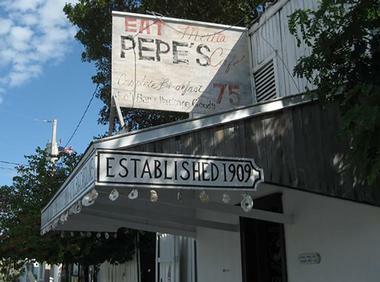 A combination of great ambiance, delicious food, and funky atmosphere has ensured that Pepe’s is still going strong after more than 100 years of pleasing Key West palates. Pepe’s is located in the heart of Old Town Key West, where it originally opened in 1909, and you can pop in for breakfast seven days a week between 7.30am and noon. 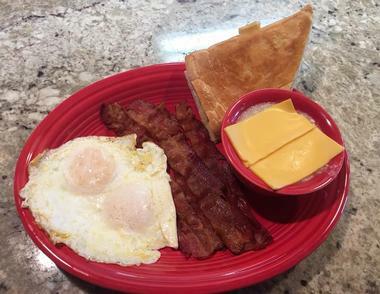 You can look forward to enjoying all the classic American breakfast favorites, like jumbo free-range eggs cooked to order alongside your choice of sausages, bacon, fries, or grits. You can build your own omelet, feast on traditional eggs Benedict, or satisfy your sweet tooth with French toast or pancakes. Sandy’s Café serves up tasty, freshly made Cuban fast foods every day from 5.30am to midnight at their White Street café. Their menu offers a selection of tasty breakfast platters, including omelets, huevos con chorizo (with corn tortillas) and classic fried eggs with bacon and sides. There is also a variety of breakfast wraps and sandwich options on offer, served with sides of fries or hash browns. The full menu is available all day long, so you can start your day with spicy tacos if you prefer. If you choose to visit their Fleming Street Bakery & Café, you will also find a variety of freshly made pastries and delicious smoothies on the menu from 8am onwards. Watch out for the Sandy’s Food Truck at various Key West events. 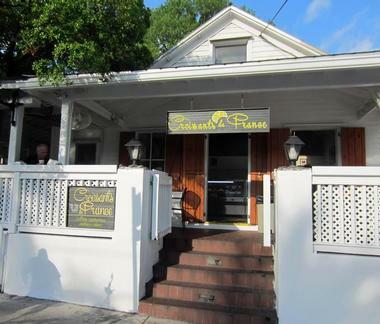 Located in an historic 1800s clapboard building in the heart of Old Town Key West, Sarabeth’s Kitchen offers the ideal mix of indoor and outdoor areas where you can enjoy an innovative, freshly prepared breakfast or brunch. Between 8.00am and 11.00am, the menu features classic breakfast dishes such as omelets, eggs to order, and different tasty side dishes. From 11.00am to 2.00pm, these are joined by some more substantial salads, sandwiches, burgers, and other luncheon dishes for a delicious brunch. Sweet options are also available, including pancakes, waffles, and French toast. Everything on the menu is freshly prepared to order using only the freshest locally sourced ingredients. 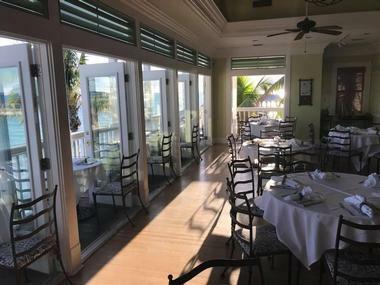 You don’t even need to leave the beach to enjoy a great breakfast in an unsurpassed setting at the Southernmost Beach Café, located right on South Beach Key West. Breakfasts are served from 7.00am and include delicious wholesome meals to get your day off to the best possible start. Breakfast dishes include eggs to order with your choice of sides, the chef’s quiche of the day, and a selection of omelets. The café also has a fine selection of breakfast specialties, which include Benedicts, breakfast burritos and tacos as well as yoghurt with granola or a smoked salmon plate for those with smaller appetites. 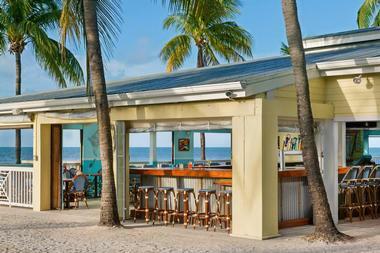 You will find the Tavern ‘N Town restaurant located just off the lobby of the Marriott Key West Beachside Hotel. The tavern is famous for its wonderful Tapas Theater at night, but what many visitors do not realize is that Tavern ‘N Town also serves a selection of breakfasts between 7:00am and 11:00am every day. 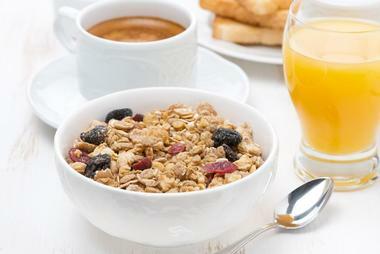 The breakfast buffet includes a selection of fresh fruit juices, yoghurt and granola, and a variety of hot and cold dishes from the buffet. The omelet station allows you to build your own omelet using interesting fillings, and you can round off your meal from their selection of breads, pastries, and other sweet treats. A lighter continental buffet is also available. For as long as anyone can remember, there has been a saloon operating from the current premises of the Two Friends Patio Restaurant in the heart of Historic Old Town Key West. 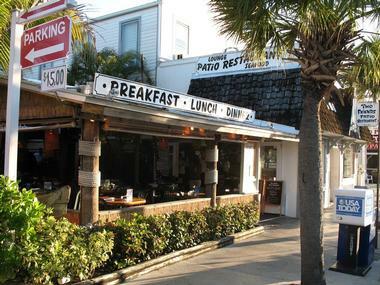 Locals attribute the continued success of the restaurant to the great ambiance, the specialty drinks, and the excellent Key West breakfasts. Served from 8.00am to noon, the breakfast menu features all your favorite egg dishes alongside some innovative omelets and quiches with a distinct Key West flavor. You can also satisfy your sweet tooth with a variety of pancakes and waffles and a decadent Key lime-stuffed French toast. If you just want something light, you can order a bagel, muffin, fruit bowl, or croissant.